Watches are my passion and when they are priced equal or cheaper than a nice quality fashion bracelet I'm sold!! Fashion and functionality and still quicker to look at your wrist for the time than getting your smart phone out...try it :-) A very nice watch and works great. 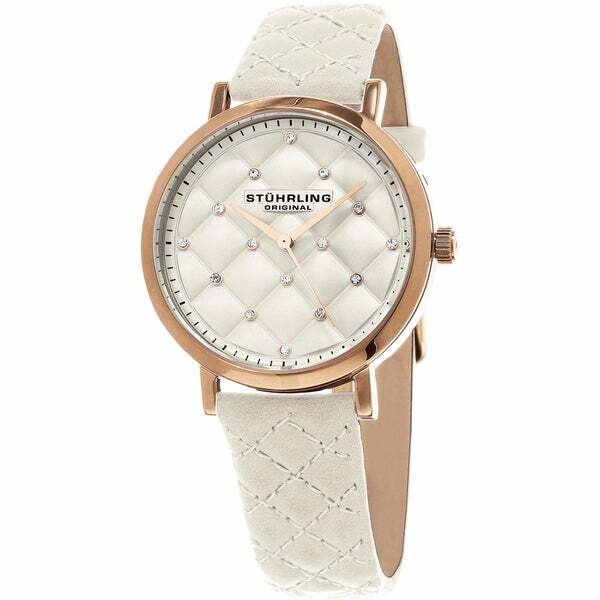 The Stuhrling Audrey delivers a magnificent performance of watchmaking virtuosity. Revel in this harmonious composition of artistry, finesse and grandeur. Its rhythmic and balletic movement offers a calm, yet captivating experience. Lift the curtain on mastery and steal the show. The watch is gorgeous and really look more expensive than it is.